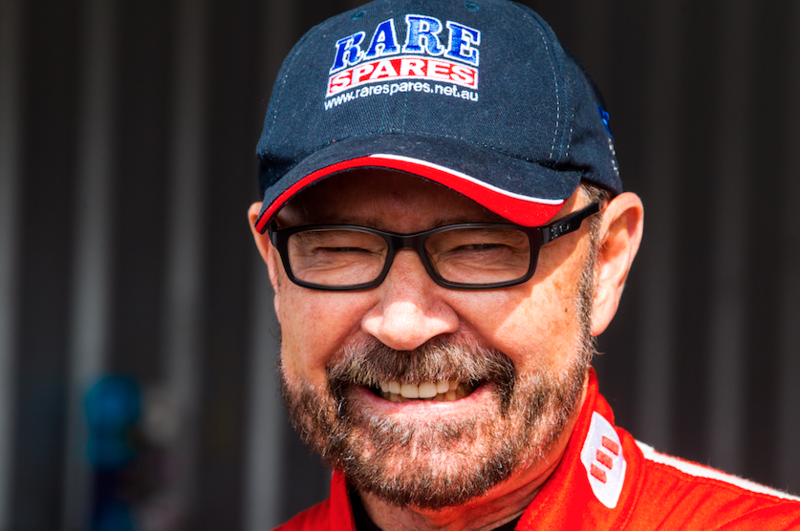 John Bowe has called for the motorsport community to throw its support behind the proposed Super5000 category after a unification of two independent parties. The Supercars Hall of Famer organised a meeting between Super5000’s Brian Boyd/John McMellan and Formula Thunder 5000’s Chris Lambden that has led to a merger. The parties announced on Monday that they are now working towards one technical specification "under the overarching S5000 project umbrella" with the aim of having a category up and running midway through 2018. Supercars’ James Warburton welcomed the merger but continued to stress that only time will tell if the support exists to get a full grid up and running in order to join the category's undercard. Bowe, whose open-wheel career included two Australian Drivers’ titles in the mid-1980s before switching his attention to touring cars, is convinced the category can succeed. “I’ve been an open-wheeler person all my life. I raced open-wheelers from the time I was 15 and raced in the original Formula 5000,” Bowe told Supercars.com. “I saw it replaced by Formula Atlantic and competed in that, as well as Formula 2, and I still drive my mate’s Formula 1 car so I have a very keen interest. “I knew both parties (Boyd/McMellan and Lambden) and I know how they are genuine enthusiasts. “No one is trying to make a fortune out of it, they just genuinely want to try and get a big engined, fast, open-wheel category going in Australia again. “My involvement was that I organised a meeting so that everyone could discuss what they’re doing. John, Brian and Chris are nutting out the rest of it. “For open-wheelers in Australia, I think we should really get behind this now to try and create something that’s fantastic for everyone. “I think it can be very good for both young driver development and for pleasing the crowd at Supercars events. Although stressing that at 63 he’s too old to race in the category, Bowe says he’d love to be involved as a team owner if a budget can be found. “Time will tell, but I suspect that there’s enough people around that will run cars for young, talented guys,” he said. “I would love to run one for a young guy if it gets going, maybe as a John Bowe Racing thing and mentor someone. “It’d be nice for young drivers to be able to go from Australia racing one of these cars to GP2 or whatever, who knows. “The cars will be challenging to drive, fast and spectacular so I suspect they’ll end up with a really good following. “Whether or not any Supercars teams run a car is up to them, but I think there may be one or two that have emerging talent there that would benefit from being involved. “I think understanding the dynamics of an open-wheeler is beneficial no matter where you end up going. “Fred Gibson showed that in the early 1990s when he ran Mark Skaife in the Australian Drivers’ Championship alongside the touring car program.